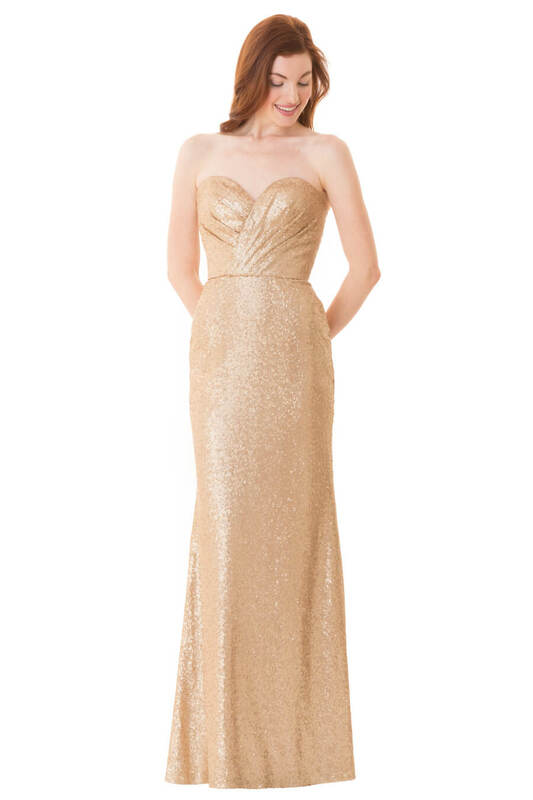 Strapless sweetheart neckline with pleated sequin bodice. Slim mermaid style skirt. Center back zipper closure.